The Locarno Treaties were seven agreements negotiated at Locarno, Switzerland, on 5–16 October 1925 and formally signed in London on 1 December, in which the First World War Western European Allied powers and the new states of Central and Eastern Europe sought to secure the post-war territorial settlement, and return normalizing relations with defeated Germany (the Weimar Republic). It also stated that Germany would never go to war with the other countries. Locarno divided borders in Europe into two categories: western, which were guaranteed by Locarno treaties, and eastern borders of Germany with Poland, which were open for revision. For Britain, the main goals were promoting Franco-German reconciliation, and the expectation that reconciliation would lead to France abandoning its Cordon sanitaire , as the French alliance system in Eastern Europe was known between the wars. If France were to abandon its allies in Eastern Europe, the Poles and Czechoslovaks, having no Great Power to protect them from Germany, would be forced to adjust to German demands; in the British viewpoint, they would be expected to peacefully hand over the territories claimed by Germany such as the Sudetenland, the Polish Corridor, and the Free City of Danzig (modern Gdańsk, Poland). In this way, promoting territorial revisionism in Eastern Europe in Germany’s favor was one of the principal British objects of Locarno. Cordon sanitaire is a French phrase that, literally translated, means "sanitary cordon". It originally denoted a barrier implemented to stop the spread of infectious diseases. It may be used interchangeably with the term "quarantine", and although the terms are related, cordon sanitaire refers to the restriction of movement of people into or out of a defined geographic area, such as a community. The term is also often used metaphorically, in English, to refer to attempts to prevent the spread of an ideology deemed unwanted or dangerous, such as the containment policy adopted by George F. Kennan against the Soviet Union. Germany also agreed to sign arbitration conventions with France and Belgium and arbitration treaties with Poland and Czechoslovakia, undertaking to refer future disputes to an arbitration tribunal or to the Permanent Court of International Justice. The Permanent Court of International Justice, often called the World Court, existed from 1922 to 1946. It was an international court attached to the League of Nations. Created in 1920, the Court was initially well-received from states and academics alike, with many cases submitted to it for its first decade of operation. With the heightened international tension of the 1930s, the Court became less used. By a resolution from the League of Nations on 18 April 1946, the Court and the League both ceased to exist and were replaced by the International Court of Justice and the United Nations. France signed further treaties with Poland and Czechoslovakia, pledging mutual assistance in the event of conflict with Germany. These essentially reaffirmed existing treaties of alliance concluded by France with Poland on 19 February 1921 and with Czechoslovakia on 25 January 1924. These treaties also showed that relations between France and Germany had not improved to a large extent. The Locarno Treaties marked a dramatic improvement in the political climate of western Europe in 1924–1930. They promoted expectations for continued peaceful settlements, often called the "spirit of Locarno". This spirit was made concrete when Germany joined the League in 1926, and the withdrawal of Allied troops occupying Germany's Rhineland. 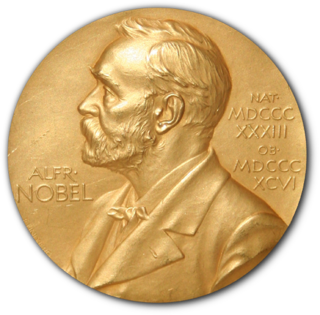 The Nobel Peace Prize was given to the lead negotiators of the treaty, going to Sir Austen Chamberlain in 1925 and jointly to Aristide Briand and Gustav Stresemann in 1926. Hitler repudiated Locarno by sending troops into the demilitarized Rhineland on 7 March 1936. In Poland, the public humiliation received by Polish diplomats was one of the contributing factors to the fall of the Grabski cabinet. Locarno contributed to the worsening of the atmosphere between Poland and France, weakening the French-Polish alliance. Józef Beck ridiculed the treaties saying, "Germany was officially asked to attack the east, in return for peace in the west." Józef Piłsudski would say that "every honest Pole spits when he hears this word [Locarno]". Proposals in 1934 for an "eastern Locarno" pact securing Germany's eastern frontiers foundered on German opposition and on Poland's insistence that its eastern borders should be covered by a western guarantee of her borders. The Locarno treaty was heavily undermined by the Franco-Soviet Treaty of Mutual Assistance on 2 May 1935, which the German government claimed was a violation of its "spirit". ↑ Norman Rich, Great Power Diplomacy since 1914 (2003) pp 148–49. ↑ Stephen Schuker, “The End of Versailles” pages 38–56 in Gordon Martel, ed. The Origins of the Second World War Reconsidered (1999) pp 48–49. ↑ Schuker, “The End of Versailles” in The Origins of the Second World War Reconsidered pp 48–49. ↑ Bo Stråth (2016). Europe's Utopias of Peace: 1815, 1919, 1951. Bloomsbury. p. 398. ISBN 9781474237741. ↑ Sally Marks (2003). The Illusion of Peace: International Relations in Europe 1918–1933. Palgrave Macmillan. p. 89. ISBN 9781137127327. ↑ Michael Brecher (2016). The World of Protracted Conflicts. Lexington Books. p. 204. ↑ Piotr Wandycz, France and Her Eastern Allies 1919–1925: French-Czechoslovak-Polish Relations from the Paris Peace Conference to Locarno (1962). Jacobson, Jon. Locarno diplomacy: Germany and the west, 1925–1929 (Princeton UP, 2015). Wright, Jonathan, and Julian Wright. "One Mind at Locarno? Aristide Briand and Gustav Stresemann." in Steven Casey and Jonathan Wright eds.Mental Maps in the Era of Two World Wars (Palgrave Macmillan UK, 2008P pp. 58–76. Look up locarnize in Wiktionary, the free dictionary. The history of interwar Poland comprises the period from the re-recreation of the independent Polish state in 1918, until the joint Invasion of Poland by Nazi Germany and the Soviet Union in 1939 at the onset of World War II. The two decades of Poland's sovereignty between the world wars are known as the Interbellum. The Polish–Romanian Alliance was a series of treaties signed in the interwar period by the Second Polish Republic and the Kingdom of Romania. The first of them was signed in 1921 and, together, the treaties formed a basis for good foreign relations between the two countries that lasted until World War II began in 1939. 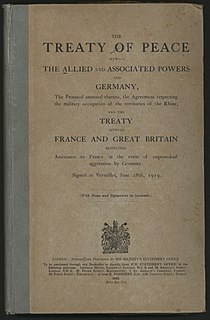 The Conference of Ambassadors of the Principal Allied and Associated Powers was an inter-allied organization of the Entente in the period following the end of World War I. Formed in Paris in January 1920 it became a successor of the Supreme War Council and was later on de facto incorporated into the League of Nations as one of its governing bodies. 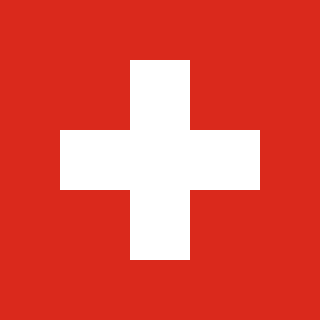 It became less active after the Locarno Treaties of 1925 and formally ceased to exist in 1931 or 1935. René Massigli was a French diplomat who played a leading role as a senior official at the Quai d'Orsay, and was regarded as one of the leading French experts on Germany, which he greatly distrusted. 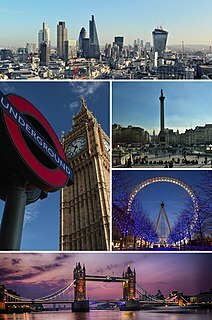 British–Polish relations are the foreign relations between the United Kingdom and Poland. The German–Polish customs war was a political and economic conflict between the Second Polish Republic and the Weimar Republic, which began in June 1925 and ended officially in March 1934. The conflict began when Poland's status expired as one of the Entente's most favoured nations in trade with Germany. Berlin then decided to raise customs duty, which primarily affected the Polish coal industry, Poland's main export to Germany. In return, Warsaw also raised duty on German goods. Germany's purpose in the war was to cause a breakdown of Poland's economy and gain political concessions. They included revanchist claims to Polish territories. 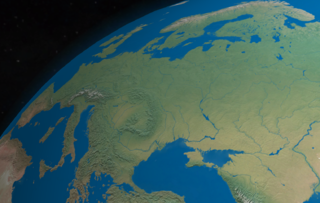 The Eastern Pact was a proposed mutual-aid treaty, intended to bring the Soviet Union and Czechoslovakia, Poland, Finland, Estonia, Latvia, and Lithuania together in opposition to Nazi Germany. The George Louis Beer Prize is a book prize awarded by the American Historical Association for the best book in European international history from 1895 to the present written by a United States citizen or permanent resident. The prize was created in 1923 to honor the memory of George Beer, a prominent historian, member of the U.S. delegation at the 1919 Paris Peace Conference and senior League of Nations official. Described by Jeffrey Herf, the 1998 laureate, as "the Academy Award" of book prizes for modern European historians. It is regarded as one of the most prestigious historical prizes offered in the United States, and it is usually awarded to senior scholars in the profession. This in contrary to the American Historical Association's other distinguished European history award, the Herbert Baxter Adams Prize, which is restricted to young authors publishing their first substantial work. Only four historians, Edward W. Bennett, Carole Fink, Piotr S. Wandycz and Gerhard Weinberg, have won the Beer Prize more than once in its ninety-year history. The First Luther cabinet was the 12th democratically elected Reichsregierung of the German Reich, during the period in which it is now usually referred to as the Weimar Republic. The cabinet was named after Reichskanzler (chancellor) Hans Luther and was in office for only a year. On 15 January 1925 it replaced the Second Marx cabinet which had resigned on 15 December 1924. Luther resigned with his cabinet on 5 December 1925 following the signature of the Locarno treaties but remained in office as caretaker. He formed another government on 20 January 1926.